Yeah. I know, I know. I'm a lazy piece of nothing. I shut down myself from write anything in the past 2 months. I'm sorry. I'm busy hiding in my shell to defend myself from harm inflicted to me from outside world. There's no one missing me out there, right? *I'm act like there's someone following my blog posts and miss my updates where in fact, no one does ^^ *start to play "Missing" from Evanescence. Ha ha ha. Anyway, I hate being lazy. It made me gain weight >.<. I've watched Rurouni Kenshin: The Legend Ends about 2 months ago but only managed to post this today. without many chit chat, here are what I think about this movie! Of course the fighting scenes!!! Masaharu Fukuyama as Kenshin's teacher, Hiko Seijuro. I don't get carried away by the drama here. Honestly, I'm a little bit disappointed. Maybe it's because my expectation is too high as you could read on my previous post about Kyoto Inferno. Many people said this movie is epic. Well, it's fighting scenes are indeed epic but the emotion is lacking. It's still a good movie though. 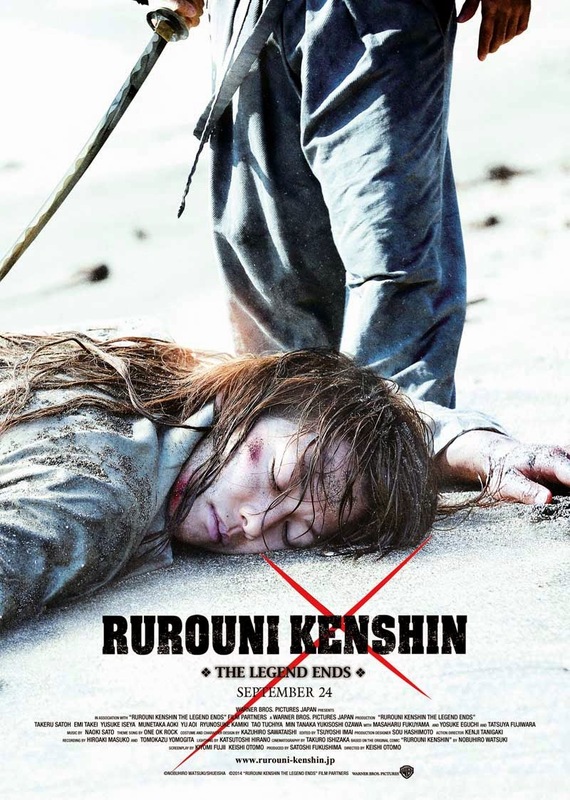 It's a must for people who love Rurouni Kenshin and have watched the previous movies. "I'm busy hiding in my shell to defend myself from harm inflicted to me from outside world" what what what? kekekeke, if you call yourself lazy then how about me sistah?